This summers world cup kit has been unveiled today. Nike have looked back at Englands playing career to gain inspiration for Roy Hodgson’s men to be sporting this summer. 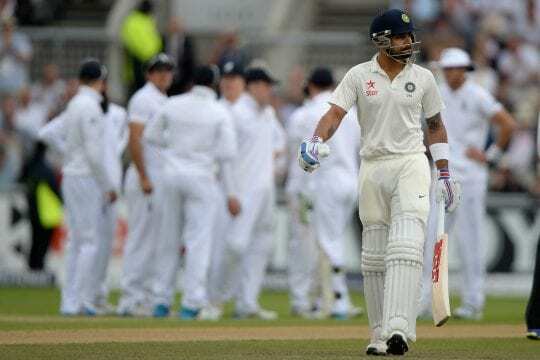 The shirt bearing similarities to the all-white kit worn by Sir Alf Ramsey’s defending champions in 1970. England reached the quarter-finals in Mexico in that campaign. Steven Gerrard, Joe Hart, Wayne Rooney, Daniel Sturridge, Jack Wilshere all modeled the new home kit, while Ross Barkley, Alex Oxlade-Chamberlain and Raheem Sterling joined the line-up for the away shirt. 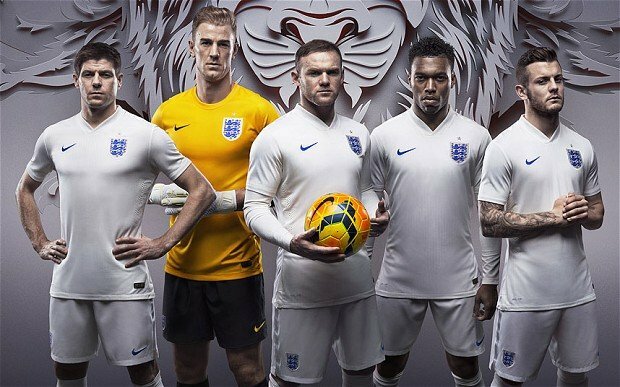 Nike became England’s new kit supplier last year, ending the Football Association’s 30-year partnership with Umbro, who are owned by Nike. 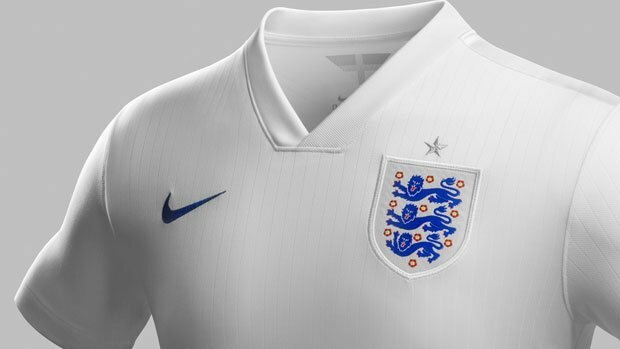 Nike has also collaborated with the renowned English typographer Neville Brody to create a new font for the names and numbers on the back of this England jersey. “The core inspiration was to focus on the intersection between flair and workmanlike reliability,” added Brody. The new home kit – available for pre-order at nike.com and on general sale worldwide from 3rd April – will debut in the friendly with Peru at Wembley on 30th May. the top looks nice but £90 for the new shirt is a complete rip-off though.